West Valley City, Utah - The Utah Grizzlies have added forward Tanner Nagel to the active roster after signing an ATO. 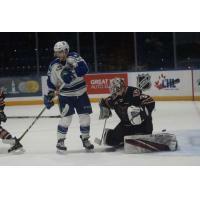 Nagel comes over from the WHL's Swift Current Broncos. Nagel has 4 years of experience in the WHL, playing with 3 different teams. 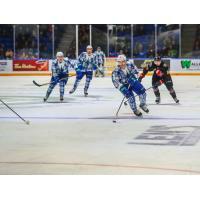 The 2018-19 season was his best statistical year where he had 13 goals and 10 assists in 65 games with Swift Current. The 13 goals tied for the team lead. He was a member of the 2018 WHL Champion Swift Current team, where he was a teammate of current Grizzlies defenseman Josh Anderson. In addition to Nagel, Joey Ratelle is new to the Grizzlies roster. He was assigned to the Grizzlies from the AHL's Manitoba Moose on March 16th and appeared in his first game of the season. Ratelle is a dynamic player, who had 23 goals and 24 assists as well as 200 penalty minutes for the 2018 Kelly Cup Champion Colorado Eagles. The Grizzlies can clinch a playoff spot with a victory tonight against Rapid City. It's a Maverik Monday, where tickets are buy one get one free when showing your Maverik Adventure Card at the Maverik Center box office when purchasing tickets. Face-off is at 7:00 pm and can be seen on ECHL.TV as well as on ESPN 700 radio.